I am well-known for my love of cats, particularly my own. Missing my cats while on holiday in Thailand, at least where we are staying at Thara Patong Beach Resort and Spa, there are plenty of cats roaming around. 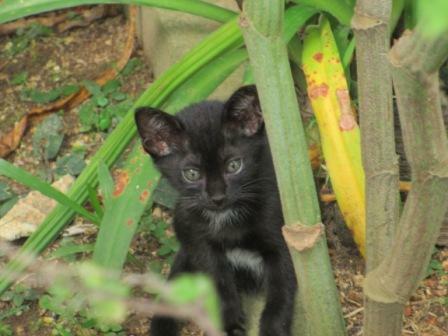 It is obviously kitten season, and some are quite adorable, though none as gorgeous as my own cats, Shadow and Zorro. Admittedly, I am extremely biased in their favour! Anyone who reads my princessprattles.com blog will notice a distinct overlap of current photos. 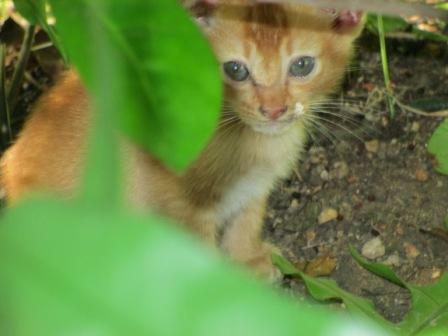 This entry was posted in Thailand and tagged cats, kitten photos, Thailand, Thara Patong. Bookmark the permalink.